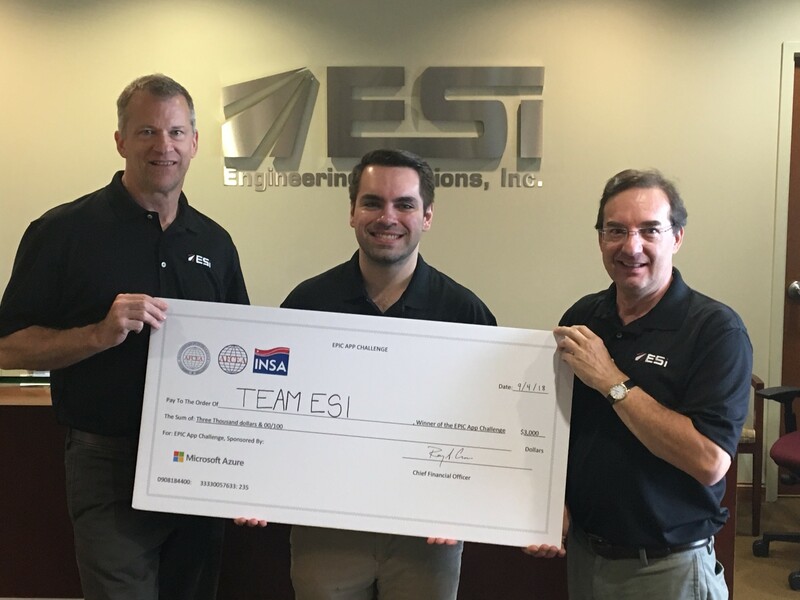 ESi Wins EPIC App Challenge – Engineering Solutions, Inc. Team ESi, consisting of Jim Cannaliato, Paul Scholz, and Mike Chirico, won the EPIC App Challenge on September 4th! This challenge was part of the Intelligence & National Security Summit, co-sponsored by AFCEA and INSA. On August 24th participating teams were given the challenge problem, “Use publicly available data to provide indications and warnings for an ongoing or upcoming global event that would be relevant to the National Security Interests of the United States”. To make it even more interesting, the solution had to start from scratch (you could not use existing company IRAD or other solutions) and the presentation was to be evaluated by a panel of judges at the start of the summit on September 4th. Our winning application is called International Civil Unrest (iCU), and it predicts the level of social unrest in 12 countries for up to seven days in the future. We implemented machine learning through the use of an LSTM neural network applied to GDELT open data source.